Large holiday house on 5 acre olive grove surrounded by vineyards with lovely views and close to tastings and Martinborough centre. This is a converted railway station with wrap around veranda and large deck projecting into private courtyard garden. 10 metre heated swimming pool, roses and outdoor furniture and BBQ. Open plan livingdining with Goumet firebox and woodstove,large flat screen TV,internet and piano. Modern kitchen with falcon double oven and large gas fridgereezer,microwave,dishwasher,juicer and coffee machine. There are 4 bedrooms,2 queen ,1 with ensuite; 2 twin ,1 with beds converting to 1 kingsize bed ,all with french doors opening to veranda. Study which sleeps 2 more on fold out sofa. Luxurious wet bathroom with deep bath. This house could accomodate 2 families and a small pet. Martinborough has a number of attractions from wineries, olive oil tasting, fine dining, cookery courses to horseriding, 4 wheeller motorbike treks, the Tora walk is not that far away and Lake Ferry Hotel is a great place to have fish and chips on the beach which is only 20 minutes drive. Bring your fishing rod and go surf casting off the coastline. The drive to the lighthouse and the pinnacles is about 1hr and 30minutes, but worth a trip if you want to see the rugged coastline of the Wairarapa. Also Greytown is only a 12m drive to some wonderful historic attractions, restaurants and fashion shops, Cobblestones is worth a visit, enjoy some chocolate and Puzzlewood is only a hop skip and jump away, worth a visit with the kids, parents will also have fund. You can certainly explore. Enjoy your stay. Karo is available for a 3 night min. stay @ $250/n for 4 adults. House trained family pet welcome. * If Cancellation is made by the Landlord due to owner's circumstances 42 days notice will be given and full deposit will be reimbursed. Lovely place to get away from it all. Great place to stay, well appointed, close to town and vineyards. Pool was a nice bonus with a fantastic outdoor area. Septic tank got a bit smelly after doing some washing, but not a major problem. House was perfect everything we needed even extra towels for swimming.. Private yet close to town.. We had a girls weekend when martinborough fair was on.. Our second time staying would highly recommend.. ?? We had a fantastic stay at Karo. 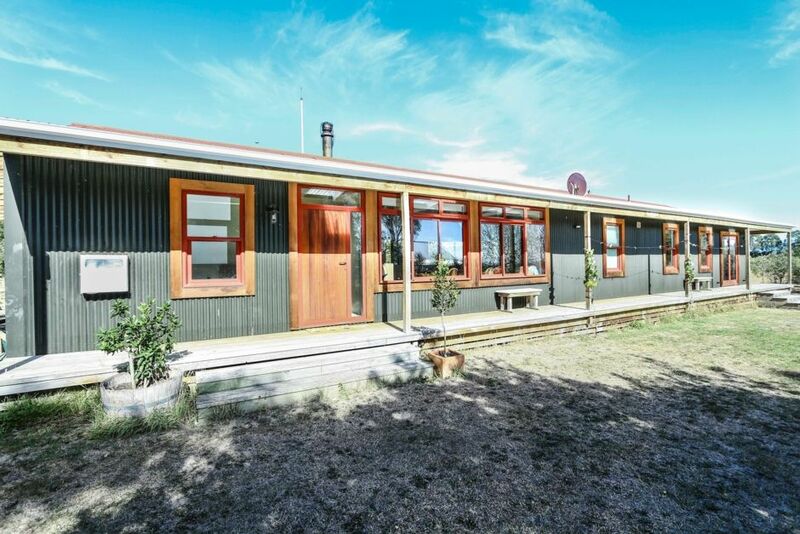 A beautiful house perfectly located near Martinborough square & vineyards. The pool is fantastic and the kids loved it as well as playing in the Olive Grove. Heaps of space and we didn’t feel squashed at all, even with 10 people! Thoroughly enjoyed our stay at Karo and would stay there again in a heartbeat. We had a wonderful stay at Karo. Getting in and out was simple. The setting in the backyard around the pool was lovely. Great location to wander around the vineyards and into town. Excellent. A very relaxing stay. The property was very nice and had all that you could need and more.